Select the schools to which you want to add the benchmark. Click the caret to the left of the school name to view a list of the trackers for that school. 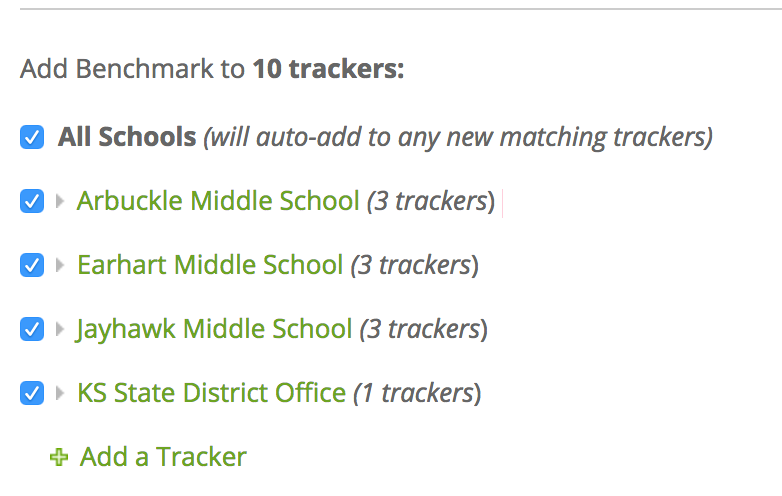 Click Exclude This Tracker to exclude the tracker from the school when adding the benchmark to that school.